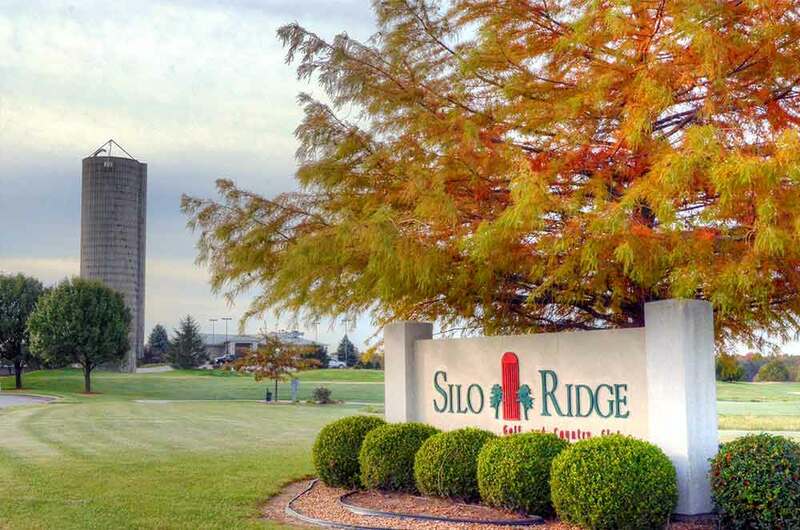 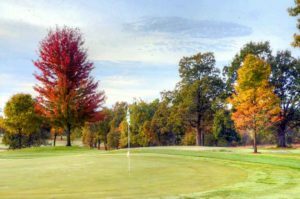 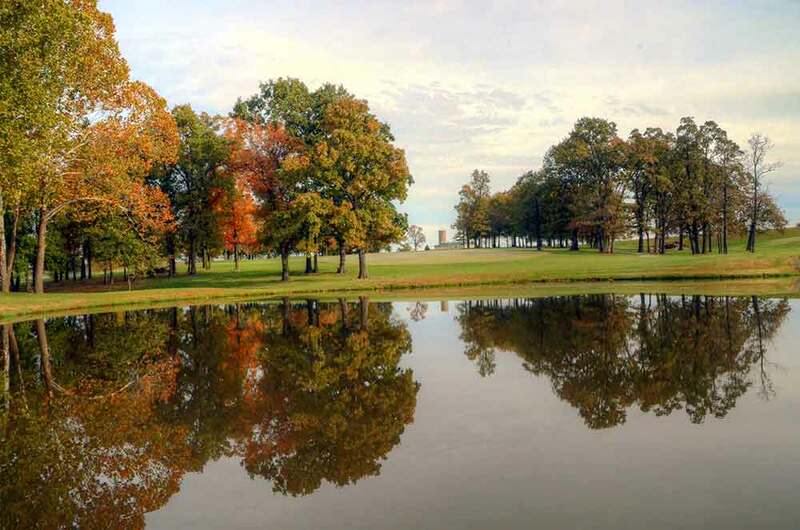 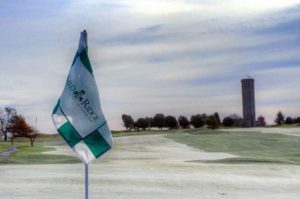 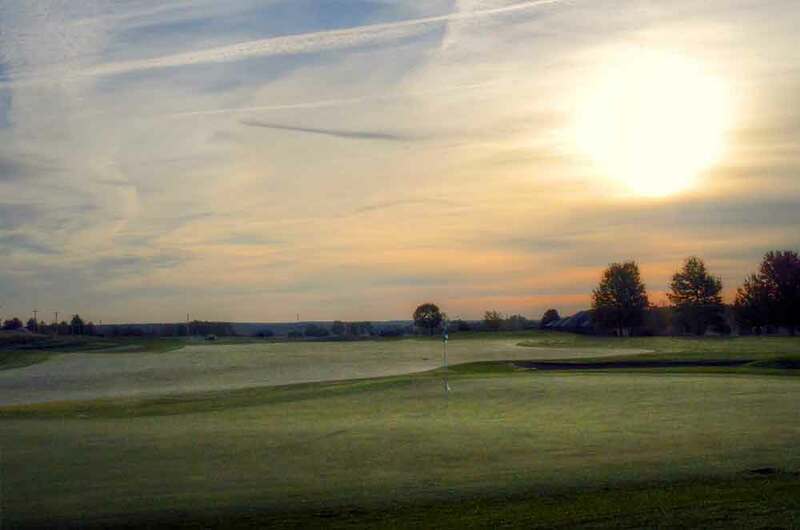 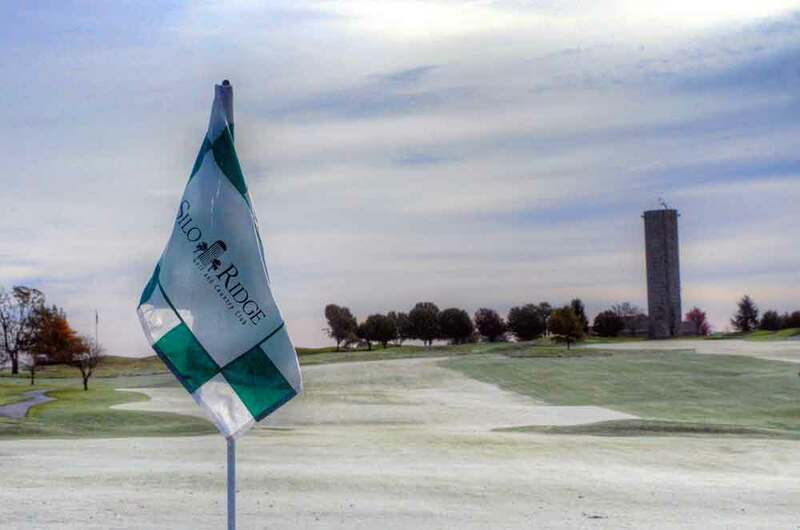 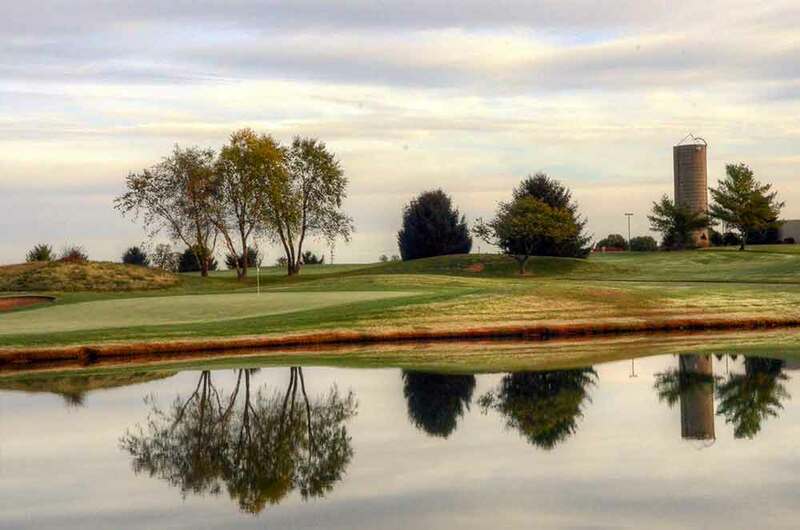 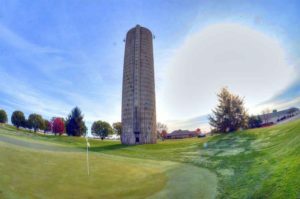 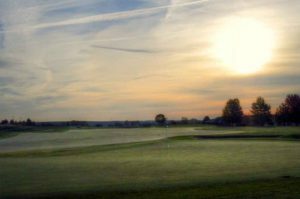 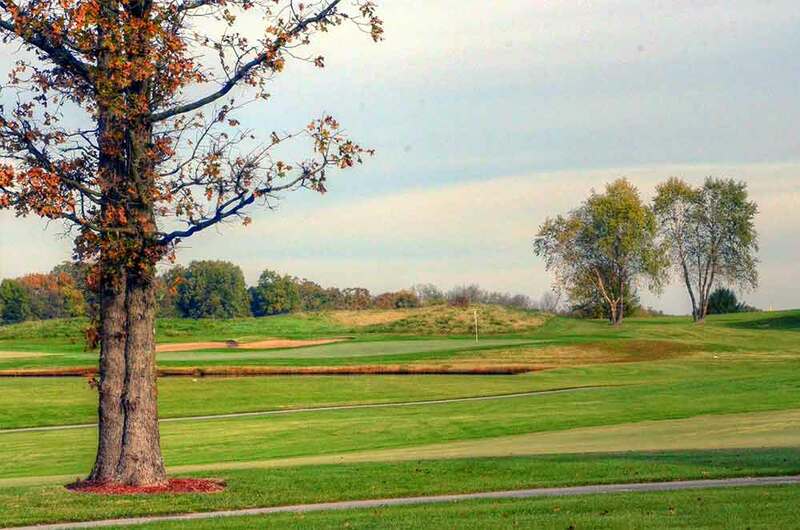 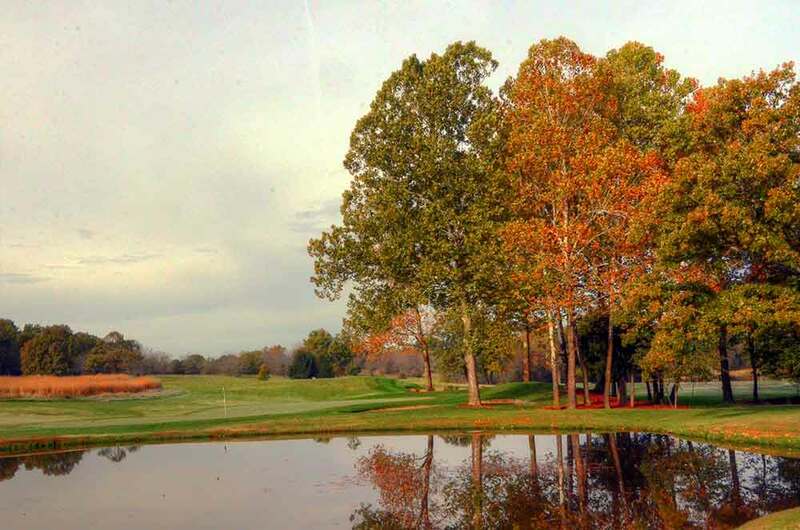 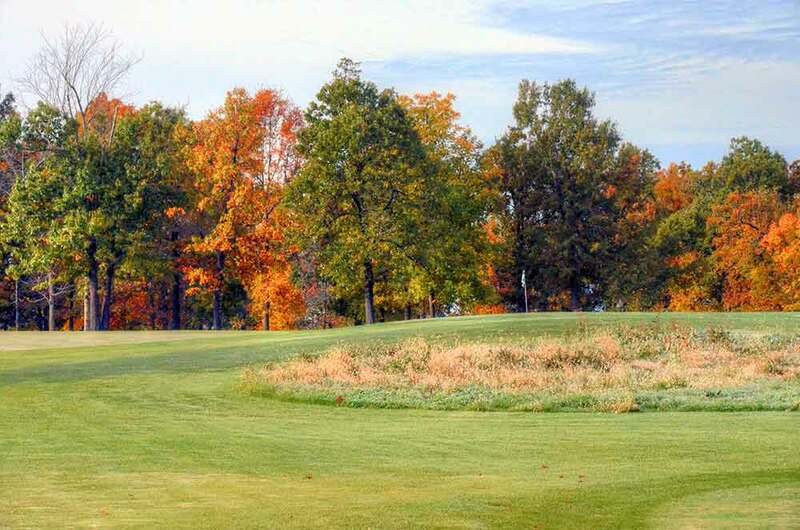 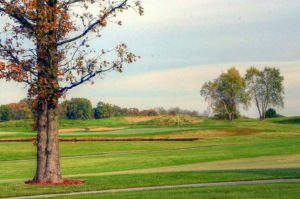 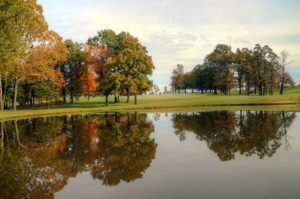 Silo Ridge Golf and Country Club in Bolivar, MO is one of the “must play” courses in Missouri. 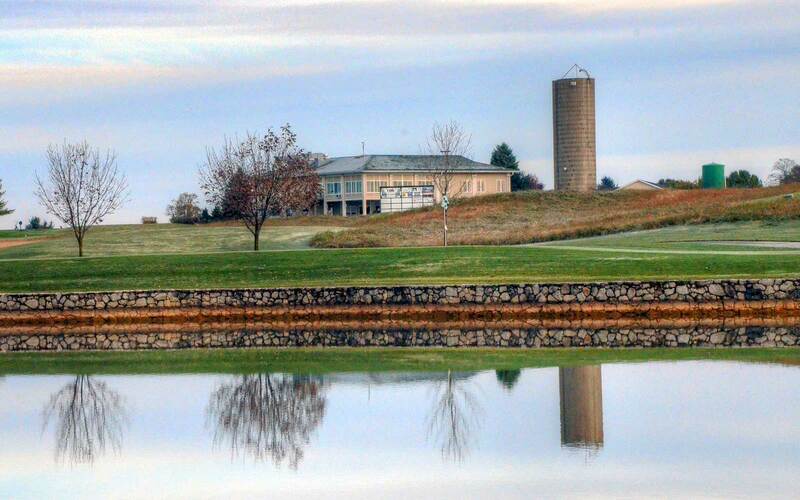 The course is the rural version of a dessert mirage. It is surrounded by farmland and seems out of place. 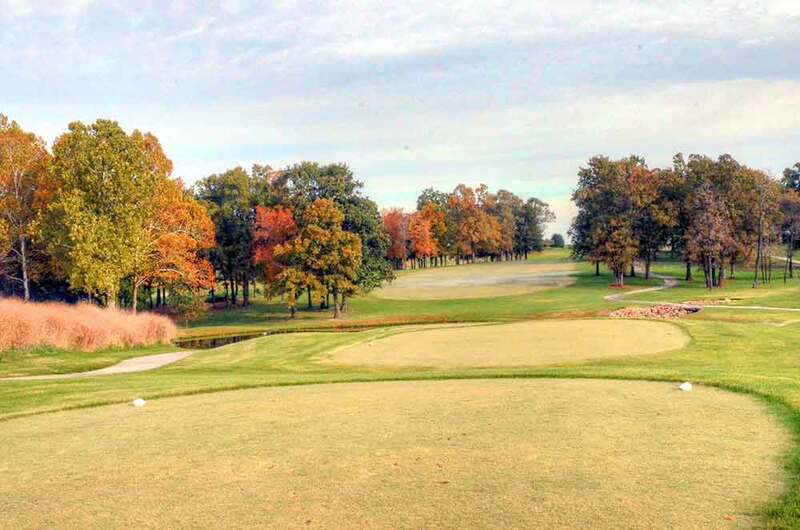 But, the course is immaculate. Everything is very well maintained and groomed. 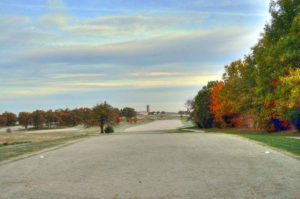 On the day I was there, the greens and tees were frosted over (hence, the reason they look white on the pictures). The superintendent came out from the brush with twigs sticking out of his hat and his face painted camouflage (not really, but he was very passionate about his course) and asked if I was walking on his greens – which you should never do when they are frosted over. 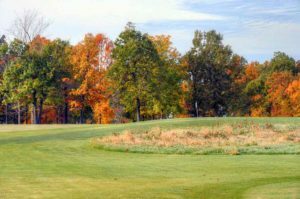 It is a newer course so there are not a ton of mature trees particularly on the front nine. On the back, they carved the fairways around and through wooded areas so many of the holes on the back nine have a much different vibe. 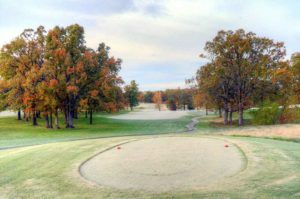 Many of the greens have subtle double tiering which, paired with their quickness, leads to some large sweeping breaks. All in all, Silo Ridge is a wonderful course and is worth the drive from anywhere in the state. It is private so, if you belong to a private club, have your pro call theirs. 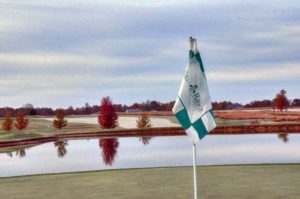 If you do not belong to a private club, pretend you have a website that reviews golf courses . . .